So I realized I really like guide and if any of you follow me on Instagram, you'll notice that I eat nigiri/oshi sushi everywhere I can. 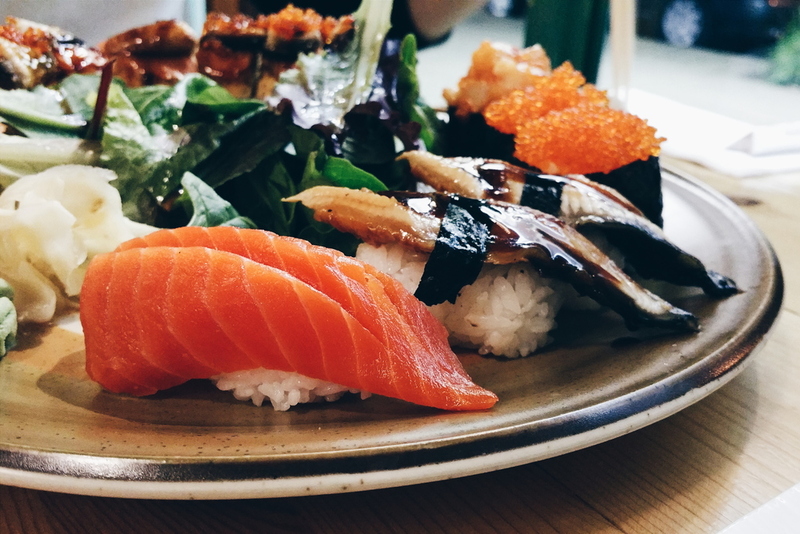 I'm not a sushi expert and I'm actually mildly allergic to raw fish (which is why I'm really cautious about eating sashimi) but I thought it'd be fun to share with you guys my experience with some of Vancouver's "sushi on rice" offerings (nigiri + oshi sushi in particular). You'll see from the list of positive/+4 rating reviews that Miku is pretty well loved in Vancouver. I admit that a few years ago, Miku was my definition of high quality modern Japanese dining. Recently however, I opt for Minami or Kishimoto if I'm suffering from nice sushi withdrawals. the nigiri: still pretty good stuff. Order the nigiri not the aburi oshi sushi. I reviewed Kishimoto on Zomato.com here. Tojo's is famous for high quality authentic Japanese food and much loved in Vancouver. Although there are a lot of creative rolls offered here, I like saving my stomach for the goodness that is Tojo's sashimi and nigiri. I was graced with blue fun tuna being the featured tuna sashimi during my visit. I'm pretty sure even if it wasn't blue fin tuna, it would still taste amazing but believe me, this tuna was to die for. Incredibly fatty meat marinated in a lovely light sauce. Nothing takes away from the natural taste and texture of the fish and I loved it. If you're more of a meat lover, let me put it here for you: blue fin tuna to fish is like wagyu beef to meat. I reviewed Blue Water a while ago here. Blue Water isn't your typical traditional Japanese restaurant, in fact it's like a high end Western restaurant - but don't let that fool you, the raw bar chef Mr. Maruyama's raw bar offerings (the nigiri in particular) will blow you away. Suika, Kingyo, Rajio - all Vancouver favourites for modern Japanese cuisine. There's quite a few creative dishes here but somehow, aburi sushi always catches my attention. If you're looking for really good sushi, go elsewhere. 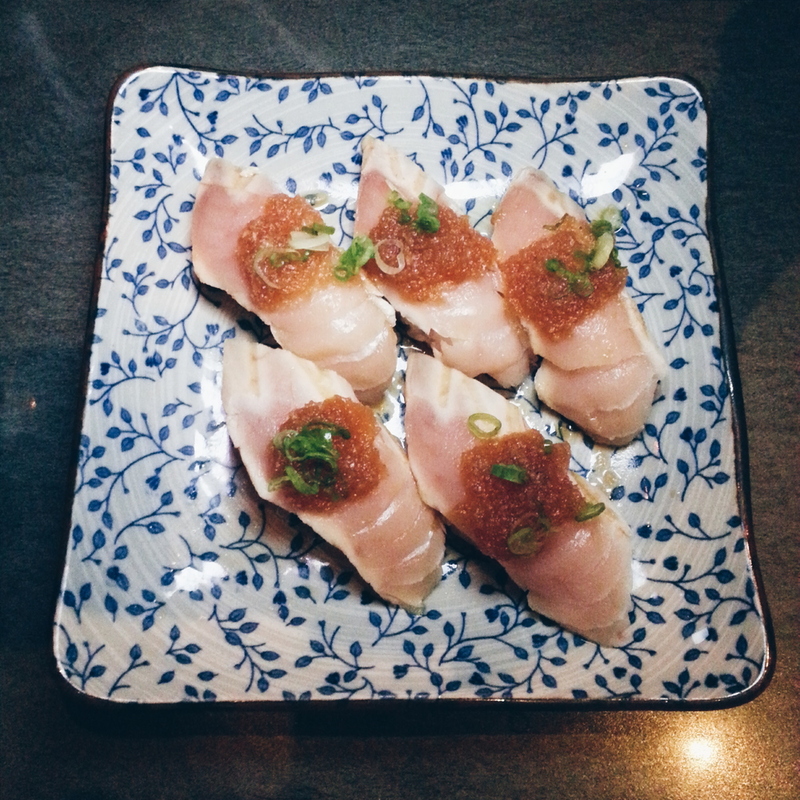 Suika is more for modern Japanese food and an izakaya experience. 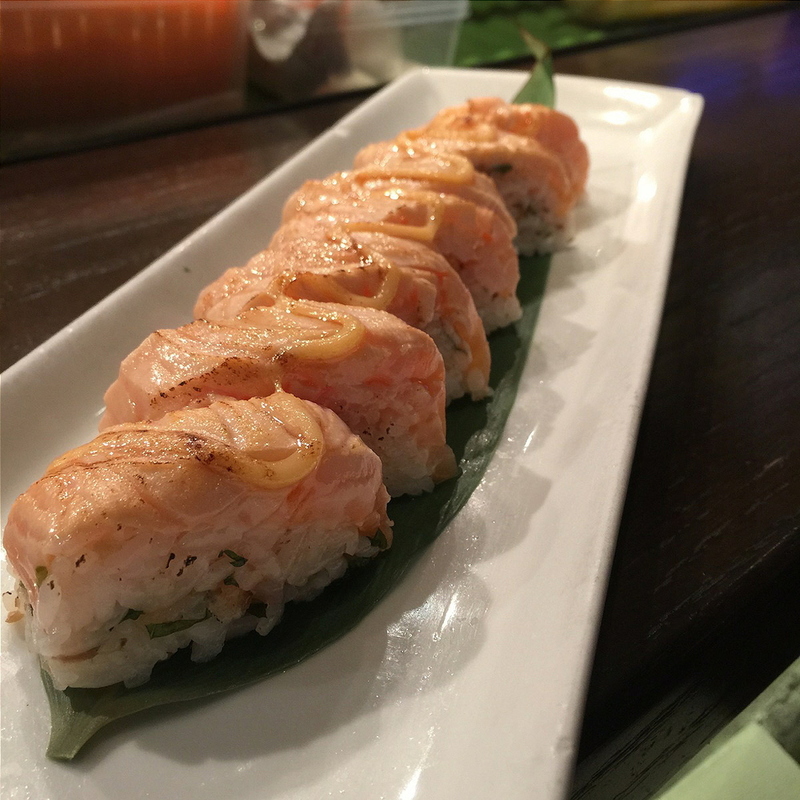 I reviewed Sushi Loku here. Very affordable and tasty: just order them all... but maybe not the rice paper sushi. Green Leaf Sushi is a Korean run "healthy" Japanese restaurant. There's a surprising amount of variety for an affordable price. Your wallet finally won't cry if you order lots of decent nigiri. I was never really a fan of Ebisu. I admit they have good drinks and fries (basically good for pre-party eating), but aside from that I don't really find a reason to eat here. The food is very mediocre and service is particularly questionable (as experienced from the Downtown and Richmond location). 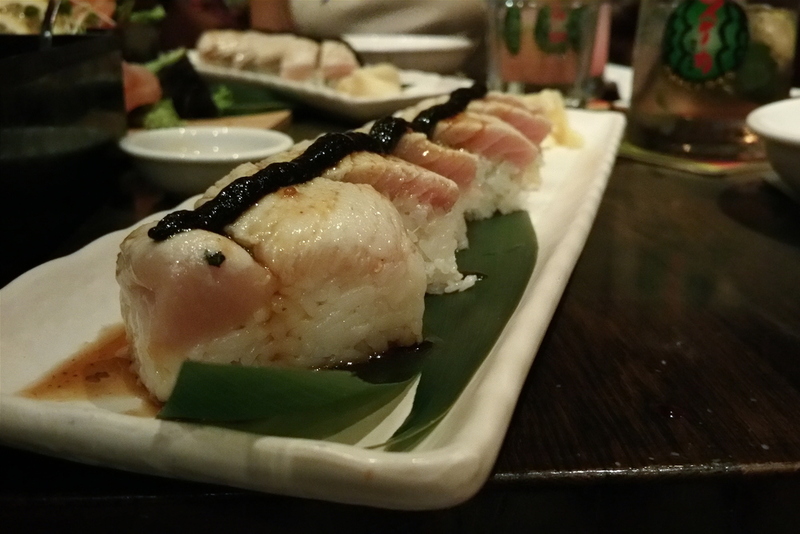 the saba/hamachi/toro inferno -box pressed sushi (basically seared oshi sushi): I'm not sure why I ordered it? Don't order the inferno sushi. Period. Not very memorable. Wouldn't go to Yaletown just for Honjin. I don't know about you, but I'm ordering as many as I want of these.